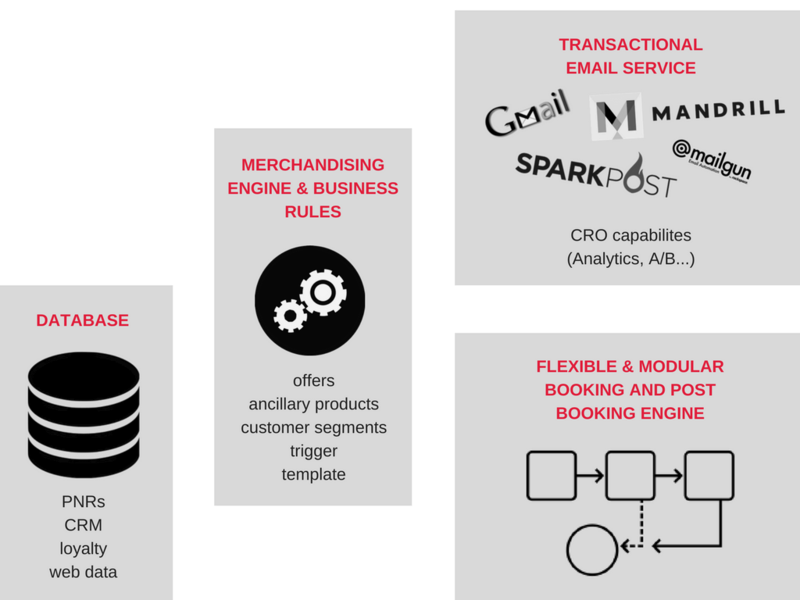 Earlier this year we presented (together with Justin Steel, VP Product from Switchfly) our Ancillary Revenue Post-Booking Framework at the Airline Merchandising Conference in Mallorca. During one of the coffee breaks, I started a chat with a small group of ancillary revenue professionals from various airlines. I wanted to know how they liked our presentation and the framework we’d just presented. Most of them were nice to me (at least while we were talking) and said yes, the presentation was fine, and yes, the framework is a useful guideline. Iztok, to be completely honest, we’ve seen a lot of different frameworks and the ancillary theories. We hear about personalization and merchandising all the time. The last thing I want to hear is the phrase ‘right offer to the right customer at the right time’ from another consultant. Where we struggle is how to implement it. He continued that often they have great ideas for their ancillary initiatives. 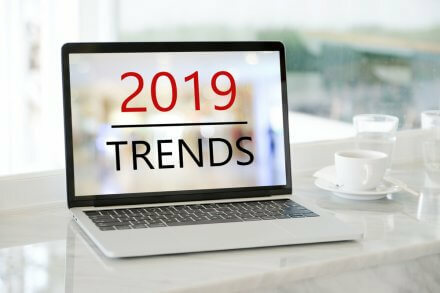 However, most of the time there are just too many constraints that they feel are holding them back from creating better, more personalized offers. Be it inflexible IT systems or making sense of all the data or getting access to proper marketing tools that would actually add value (instead of just more complexity). However, I must admit it made me think. In my role as a travel marketer, I often feel exactly like him. We all like to see survey results and statistics to benchmark ourselves against the competition. We like to understand the new trends and see different frameworks. But mere theories don’t produce many bookings. Or, as my honest friend in Mallorca laid it out for me – the real challenge is the execution. In this case the execution meant how to actually get personalized offers in front of your customers. How to create a series of real case studies, hands-on examples that will help you – the ancillary revenue professional – with the execution. I started to think about how to make the leap from theory (the ancillary revenue framework) to practice. In addition to Diggintravel, I run a small but agile travel ecommerce team. This way I keep my hands dirty by fighting hard every day to increase online bookings. 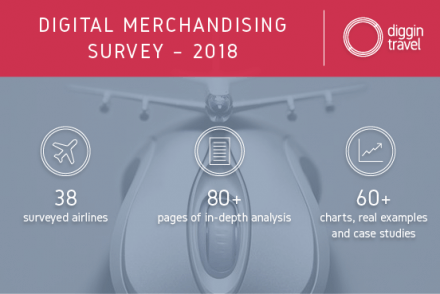 It also gives me the opportunity to test different ideas by running different digital marketing experiments – the opportunity to test some of the concepts needed for effective airline merchandising and personalization. Think of it as a growth hacking lab. So, when we reconnected with Justin and the Switchfly team, we discussed how to use some of my experience plus their tech capabilities to create examples that would add value for you. We challenged ourselves to build on our ancillary framework, to show how you can actually implement different framework guidelines in practice. That’s when the idea for the Airline Merchandising Lab was born. 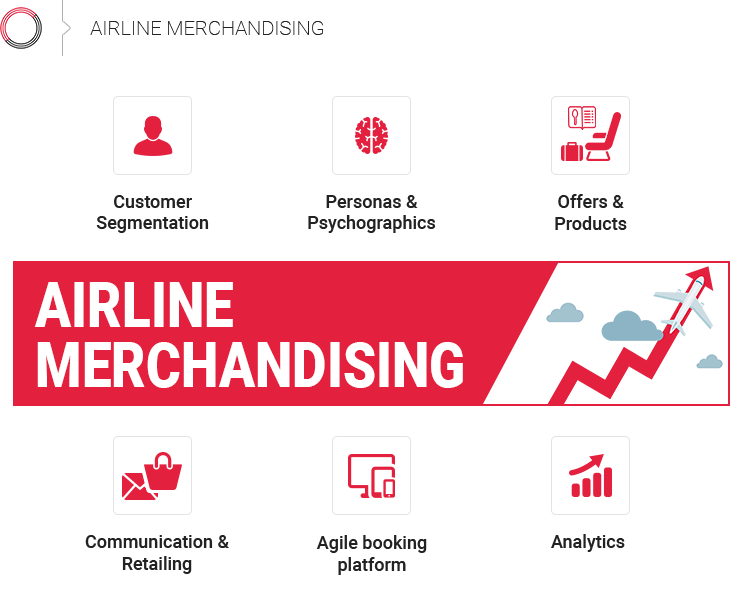 We’ll try to run a set of demos and real-life experiments for each part of the airline merchandising process, and of course, share the findinigs with you. The first results and ideas will be presented at the Terrapinn Aviation Festival in London in September (Controlling Your Offer Pre-Conference Workshop). Later on, I will cover them in future Diggintravel blog posts. Before going into experiments and practical examples you can use, let’s review what the real challenges of ancillary professionals are. 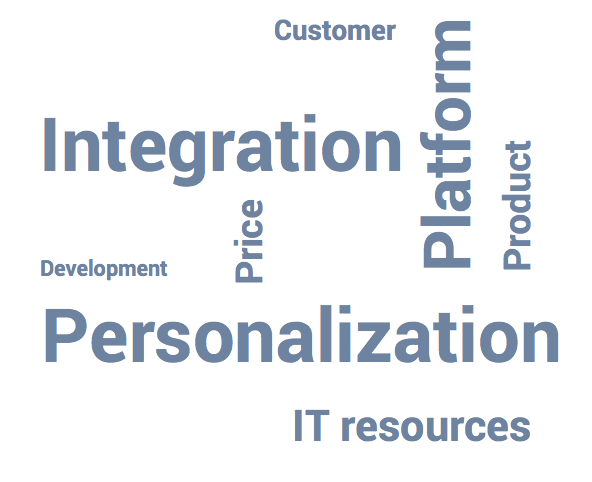 So, definitely personalization and integration across different platforms is a challenge. It has to be customer profiling and targeting ancillaries. Also, considering that we have various ancillaries it’s challenging what to sell to whom. We promised to be practical, right? To keep our promise, we’ll break down the ancillary merchandising process into six steps. For each step we will try to do a demo or explain the idea in a real-life example, all with one goal: to get you closer to creating better, more personalized ancillary offers. To do the demos and experiments properly, you’ll need a lab. In our case, we’ll be using a simple set of tools. Of course, you can use more complex systems if you’d like. You can do a lot with a set of simple yet flexible and agile tools. So, let’s start the process! It all starts with data. That’s why we’ll show you how you can create your basic customer segments first. We’ll look at how you can analyze your data to create actionable segments which will serve as a foundation for all future steps. 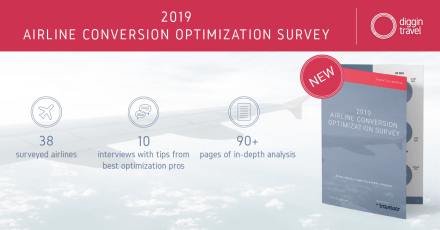 Then you’ll learn how to evolve you customer segmentation from basic segments to more advanced ones, and finally towards the actual personalized offers. Creating basic (or advanced) segments from your data is not enough. After all, data is just data. If Step 1 we identified the WHO. Now we need the WHY – to understand the psychographics of your customer segments. Psychographics are the motivations behind why your customers buy. We’ll go through how to learn more about your segments in order to understand them better. Check out this blog post to get an idea of what we’re thinking. This will be crucial for creating proper offers (Step 3) and communication (Step 4) later on. Not all products and offers are good enough for everybody. Even a seat is not just a seat. A business man on a one-day trip in a rush to catch a meeting has different needs than a family with kids going on a vacation. He wants an empty seat next to his in a “no-child seat zone”; the family wants four seats together and extra room to hold their infant on their lap. 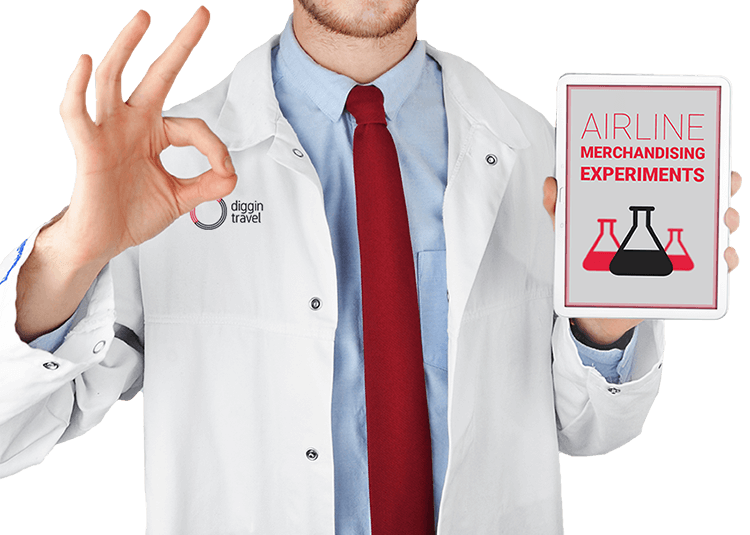 In this step we’ll show you how to innovate ancillary products by creating dynamic offers. This is a make-or-break step. Merchandising and retailing skills were the biggest skill gaps among the surveyed airlines. In today’s world you really need ecommerce and digital marketing skills to be successful at ancillary merchandising. We’ll demonstrate how you can apply growth hacking principles to your ancillary campaigns. This is the last step, and a step where many airlines struggle. Inflexible booking engines and other systems present a lot of constraints. The usual airline booking path is linear and static. The problem is, your customers don’t think that way (just remember the different personas you built). This is where the “cool” and flexible technology kicks in. The Switchfly team will show you how to create customized booking and post-booking flows based on the segments you built in previous steps. Additionally, you’ll see how you can add your loyalty (or CRM) data to create personalized offers. This is actually not a step. It’s a mindset. Diggintravel blog readers know this by now – being data-driven is in our DNA. We think it should be in yours too. Based on the ancillary revenue survey results, it seems you could use some help. We’ll try to deliver. So, Where Do You Go Next? We will go through different lab experiments and hacks in our next blog posts –> Subscribe to our newsletter and be the first to know. Previous Post Want to Build Better Travel Customer Personas? Use These 3 Easy-to-Implement Hacks!